Using Workspace email from Go Daddy will increase the chances to have this problem. It is not related to Go Daddy, but actually to something not yet configured by the user. 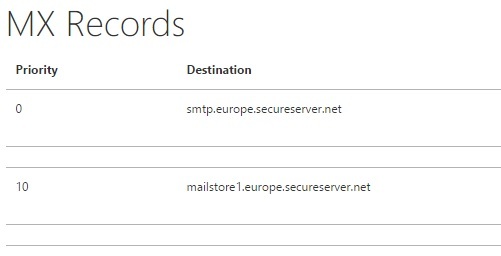 Using WorkSpace email means the default MX Records for the domain ne ed to be changed, and the mail is not handled by the local server, rather it is handled by a remote server. The fix is simple and consists of adjusting the settings in control panel. Go to EMail section and click MX Entry. 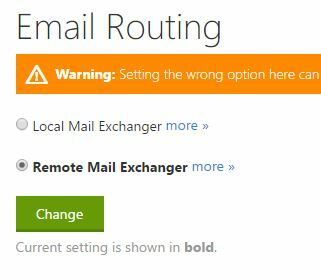 Choose Remote Mail Exchanger, and then click Change. You will have to modify the MX Records. If there are no MX Records, make sure to add. Your email might work already because it is configured in workspace email, but in order to be able to send emails with WordPress or with Contact Form 7, MX records have to be set also in CPanel. The most common problem is that MX Records are configured for local instead of remote servers or vice-versa. In this example, we have configured servers from Europe, as seen above. Make sure that MX entries match your servers, as configured in Workspace email, in order to be able to send email with Contact Form 7 or with any other WordPress plugin used for emails or as contact forms.